The Scottish government's draft energy strategy, published last February, set out some options, and asked for opinions from the public. It has those responses, and more detail on the 'gov-co' is to be published by the end of this year, as part of the renewed Energy Strategy. Facing similar political pressure at Westminster, Theresa May intends to respond by capping the Standard Variable Tariff - the default price for energy, set by each company, which is some way above the price per unit for contracted supply. Other entrants to the market, competing with the Big Six energy providers, offer competitive prices by bulk buying electricity and gas in the wholesale market, and by operating with low overheads. By the start of this year, the challengers had more than 17% of the electricity market. British Gas was down to 22%, and the other five established companies had fallen to 61%. SSE and ScottishPower, with a lot of Scots customers, had the same market share as 14 years ago: 15% and 11%. Of the new entrants, the biggest is First Utility, with 3% of households signed up. 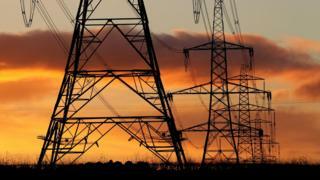 Co-operative Energy, Ovo and Utilita each had 2%. The Scottish government would not be the first public enterprise to enter the market, through independent companies. The draft strategy in February cited Aberdeen and Bristol as local authorities which were already there. Nottingham City Council set up non-profit Robin Hood Energy. In the first minister's speech to the SNP conference, she said: "The idea, at its heart, is simple. Energy would be bought wholesale, or generated here in Scotland - renewable, of course - and sold to customers as close to cost price as possible. "No shareholders to worry about. No corporate bonuses to consider. It would give people, particularly on low incomes, more choice and the option of a supplier whose only job is to secure the lowest price for consumers." administering a Scottish Renewable Energy Bond, to raise investment funds with which to develop renewable energy. It also looked across the North Sea to Denmark, where the state Energy Agency, formed in 1976, administers energy and supply, and climate change initiatives. There is, of course, another type of state energy company - the variety that has a stake in upstream production of oil and gas. Statoil, majority-owned by the Norwegian government, reported on Monday that it has discovered a new oilfield in the UK North Sea. It takes the significant investment risk of exploration and production, and it receives the considerable profits. The UK had a stake in the North Sea, but it was sold off in the 1980s. There are no plans at Holyrood to return to that kind of state energy company in Scotland. Not yet, anyway.